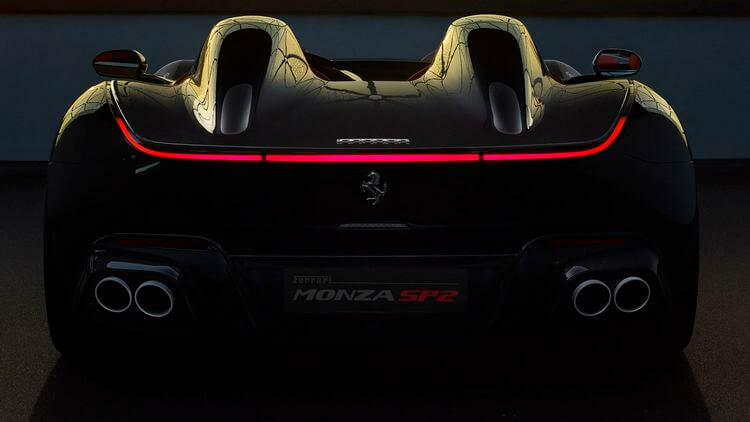 The Firstborn of Ferrari Icona: Ferrari Monza Preview! 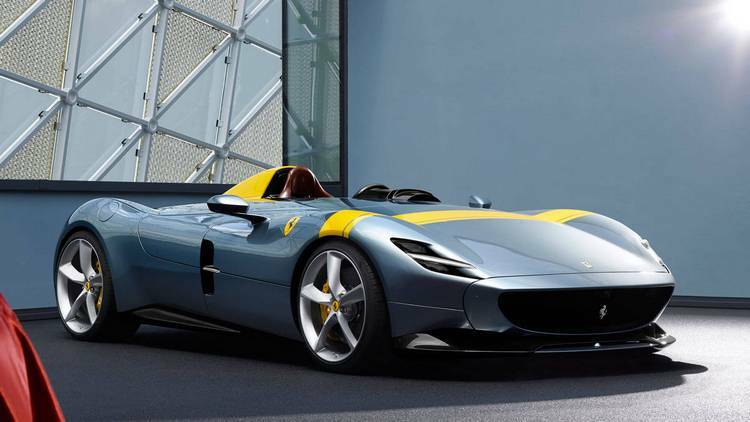 Home » Automobiles-Cars » The Firstborn of Ferrari Icona: Ferrari Monza Preview! 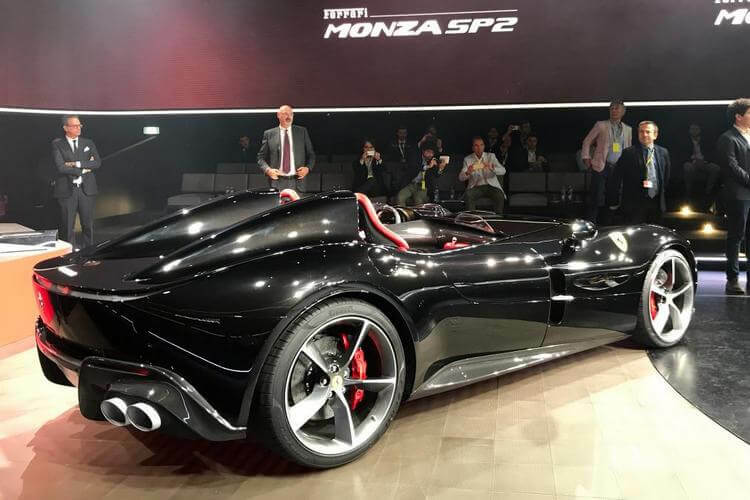 Just recently in Ferrari’s Capital Market Day at the factory in Maranello on September 14, 2018, the company has put everyone in awe with their newest product: the Ferrari Monza, which also marks the beginning of Ferrari’s new line – the Icona. Unlike many current Ferraris, the Ferrari Monza (and supposedly the later Icona members) draws the inspirations from the most evocative Ferraris in the 1950s. So what is this new Ferrari about? Let’s have a Ferrari Monza preview! 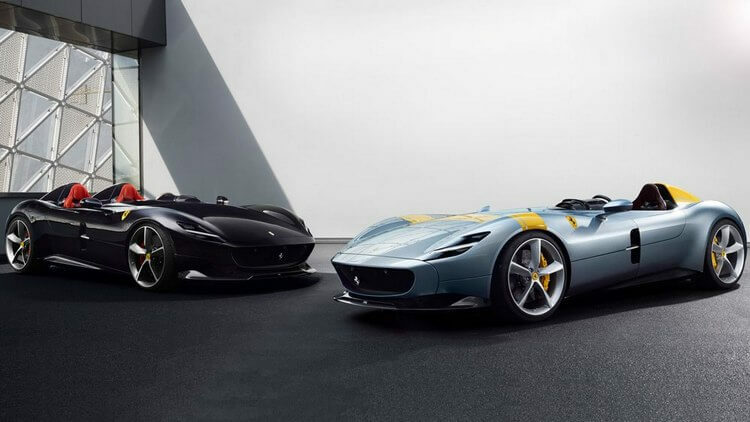 Ferrari Monza is the first member of the company’s new segment called Icona, which focuses on bringing back the heritage of the legacy Ferraris and giving it the advanced technology of the modern day. 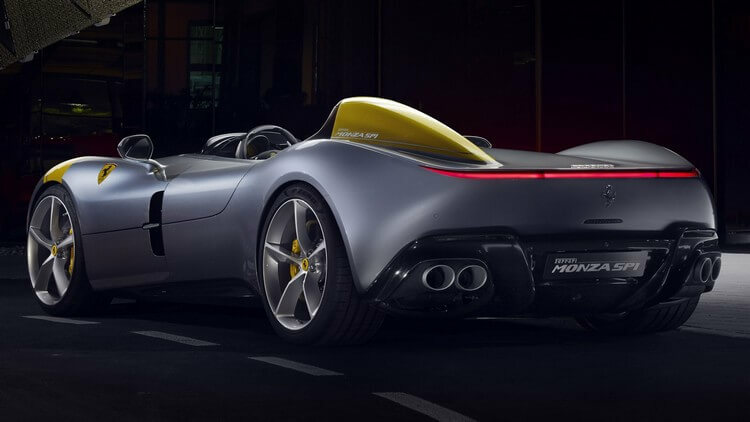 The 2018 Monza includes two versions: Ferrari Monza SP1 which is a one-seat barchetta, and Ferrari Monza SP2 which features two seats – one for driver and one for passenger. The 2018 Monza exudes a strong sense of a classic Ferrari. 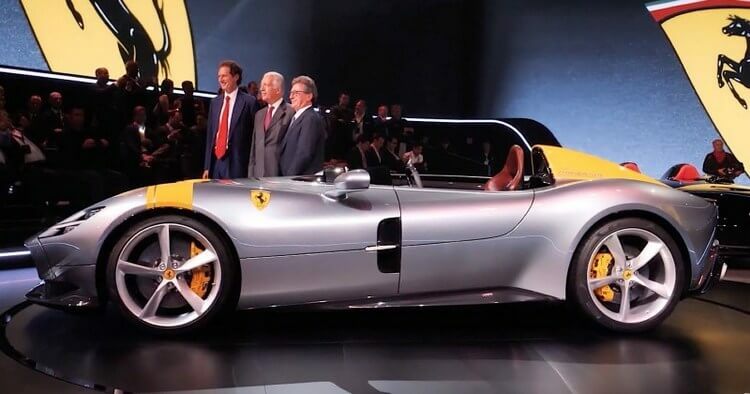 It is huge throwback to the 1948 Ferrari 166 MM Barchetta, then the Ferrari 750 Monza and Ferrari 860 Monza. Needless to say, these classic Ferraris made a legend for Ferrari as they brought tons of victories in the World Sports Car Championship. 2018 Ferrari Monza definitely looks unique and elegant while keeping the minimalist and refined form. Its design based on the monolithic form with an aerodynamic wing profile without the needs of rooftop, windshield, and even the complex visual elements which often featured in a race car. And yes, you read it right, the 2018 Monza does not include any sort of windshield. Instead, it implements a new technology called Virtual Wind Shield which channels air through the hood, stores it into a tight chamber, and then releases the stream via a slot ahead of the instrument cluster. The faster you drive, the less wind will hit your face. In terms of dry weight, 2018 Ferrari Monza weighs around 3,307 pounds (or 1,528 kilograms). 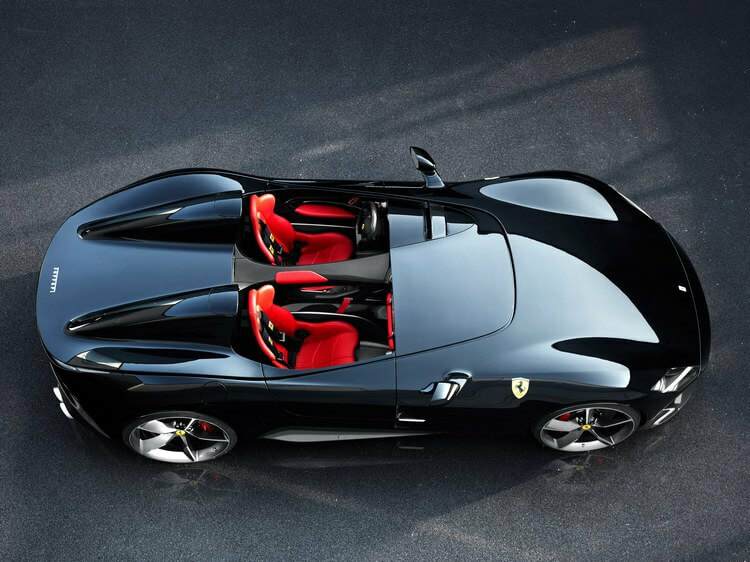 As Ferrari shared, the car possesses the best weight-to-weight than any previous barchetta thanks to the utilization of carbon-fibre and unique design like the wide LED tail-light strip and swing-up doors, and interior. The car also does borrow certain elements from the Ferrari 812 Superfast like the aluminum chassis, powertrain, and 183.3-inch length. For the power? 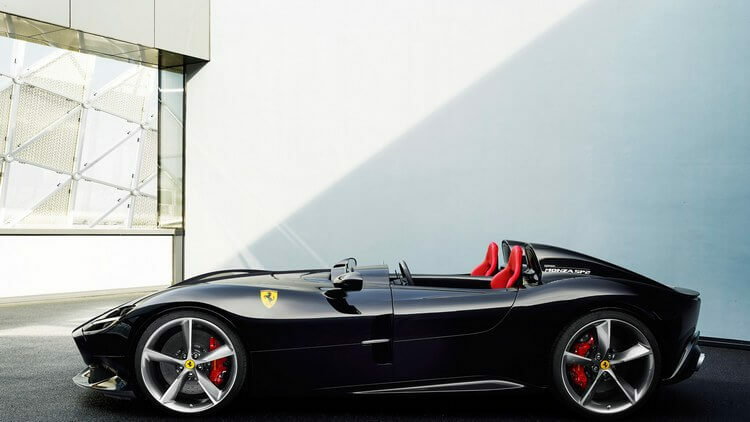 The Monza gets the powerful Maranello 6.5-liter V-12 which can generate 799 horsepower and 530 lb-ft of torque. 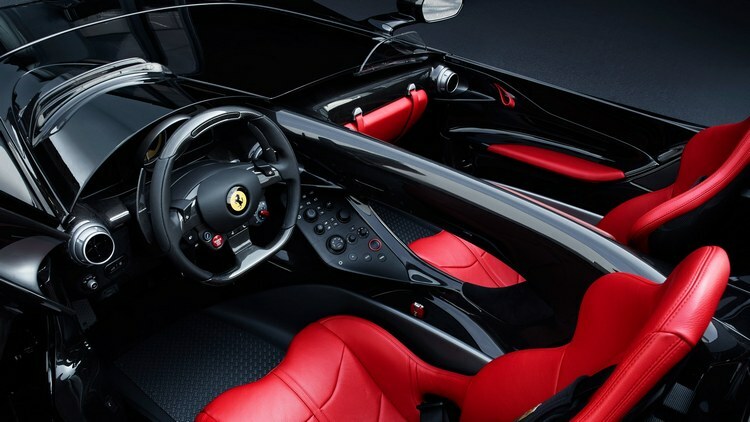 Its power should be around the same with the 812 Superfast, featuring 2.9 sec acceleration from 0 to 62 mph, 7.9 seconds from 0 to 124 mph, and a max speed of over 186 mph. 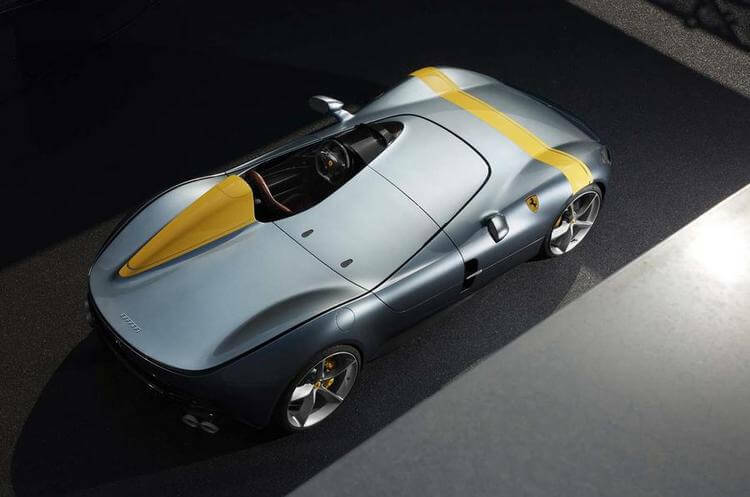 Only less than 500 models of Ferrari Monza will be built and it will be prioritized for Ferrari loyal customers. Price-wise? We should expect it no less than $1 million and also, it will only be track-legal only. And that’s it folks! What do you think about Ferrari Monza? Feel free to share with us and for now, thank you and stay tune for more news in the future! 2019 SSC Tuatara Preview: Is this 300-MPH SSC hypercar for real? Ferrari 812 Superfast – When “Fast” Is Simply Not Enough! The World’s Finest Pininfarinas: Top 10 Pininfarina Designs! Ferrari 812 Superfast Review: A super-GT or a supercar? Ferrari 488 Pista 2019 Review: Best Ferrari Mid-Engined V-8 to date?